Chile’s geographical landscape of sea and mountains is beneficial for grape growing and producing high quality wines. The Los Espinos range of wines offers premium varietals at excellent value. Drawing on vineyard resources in Casablanca and Curico, Los Espinos combines cutting edge winemaking, with regional typicity. Sourced from three different vineyards sites to give maximum varietal purity. Fruit from Casablanca adds bright citrus lift while the the fruit from Majadillas adds structure and more tropical aromas. The fruit is harvested at night to ensure that it is cool and retains as much zesty character as possible. After pressing, just the free-run juice is fermented to maximize the crisp, pure character. A cool fermentation followed by ageing on lees helps add palate weight and texture to the finished wine. 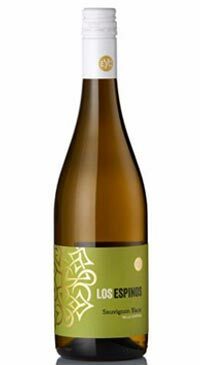 The result is a Sauvignon Blanc with expressive aromatics and pristine citrus and gooseberry notes followed by a balanced palate of ripe pear, citrus and blackcurrant leaf.